Of all the Swedish bands to make their way across the Atlantic in the early to mid 90's, At The Gates is arguably the finest of the lot. It was around the time of this album that At The Gates began to form their distinctive sound that would later dominate 1995's "Slaughter of the Soul". Aside from this new sound, the band also began employing more classical numbers, using acoustic guitars, violins, and cellos. The majority of these brisk new stylings were kept as instrumentals, more than likely due to the fact that Tomas Lindeberg (Vocals) would have a hard time screaming over them and being taking seriously. At The Gates had just gained rythym guitarist Martin Larsson, and would utilize his talents effectively all throughout the album. Still one album away from a classic, At The Gates deliver here what many (though still the minority) feel to be their best effort. Fevered Circle- My least favorite track on the album, this tune is a bit more slow than the other tracks, and the vocals aren't up to their usual standards. It seems difficult for this track to gain any momentum due to it's sluggish rythym. In fact, it almost sounds as if they were making a valiant (but futile) attempt at a Black Sabbath song. The Burning Darkness (live) - A standout track from "With Fear I Kiss The Burning Darkness", This song begins with Tomas Lindeberg pumping up the audience, which I find quite humorous. It's a somewhat sub-par performance of an overall fantastic, albeit short song. Naturally, as on any At The Gates recording, the guitar is what stands out the most. This was a decent review. I loved Slaughter of the Soul so I'm seriously considering getting this. thank you. If you liked slaughter of the soul i would seriously recommend this. I would recommend all At the Gates. All great stuff. Eariler stuff is alot darker. 0 of 1 think this review was well written. ah well. they can piss off. Mr. Bron-Yr-Aur, although I am treading in territory unfamiliar to me by straying away form the Blues forum, I must commend you on a coherent and understandable review. I believe that the term "kudos" would be appropriate. You gave it a 5, that's good enough for me. 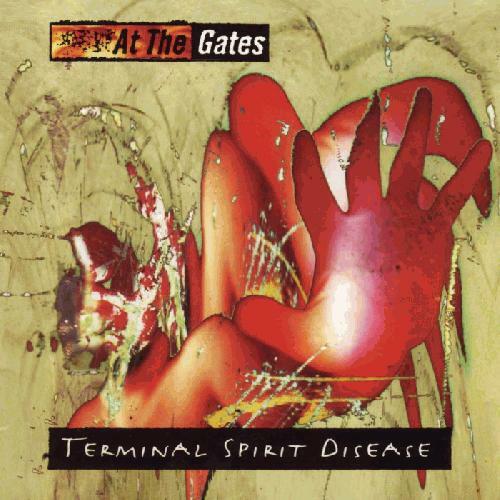 This is my favorite At the Gates album aside Slaughter of the Soul. This is my favorite album by them. Its awesome! The intro to The Swarm still gives me goosebumps every time I listen to it. Yes the swarm is lovely. I believe I will re-write this later. It was my second review and it's kinda crappy. I think you should've spent a little time with the band's background, and size the album up to their other releases, but otherwise this was a pretty good review. However, it doesn't deserve a 5. Especially if it has several songs on it that you rank as a 3 or below. It's rather inconsistent, IMO, and With Fear I Kiss the Burning Darkness trounces it utterly. It would've been much better if they had included some more new songs instead of a mere six with several live tracks. quite, I still like the overall vibe of the album, however. Way darker than slaughter of the soul. hey man this is an awsome review, good job. my reviews arent getting good responses, can u give me some tips? For one, use proper spelling and punctuation at all times. Go into details about the album, the band, how it compares to the groups' other efforts, and insert some wit and charm to make it interesting as well. Don't use internet lingo such as "Lol", and "Imo", and indent your paragraphs. That should about cover it. Thanks for your vote, man. thanks, i dont use lol or imo anyway! I disagree with you, but thanks anyway.